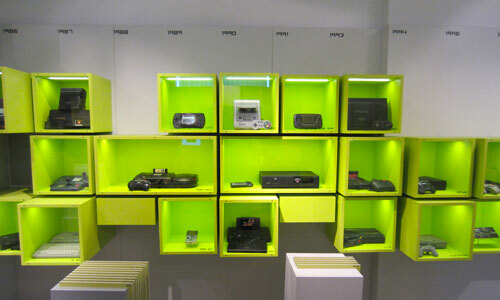 Our new permanent exhibition “Computerspiele. Evolution eines Mediums” (« Computer Games. Evolution of a Medium ») opened on the 21st of January, 2011 and had 70.000 vsitors into the first year. Patron of the museum is Ralph H. Baer, inventor of home video games. The museum is a member of the International Council of Museums (ICOM) and the EU research project KEEP (2009 to 2012). In KEEP the museum is conducting research together with Europe’s top national libraries, into strategies for the archiving of digital culture artefacts. It is also partner of the project of the Australien Research Council „Play it again“ (2012 – 2014), whichs aim is to preserve the Australian game heritage.